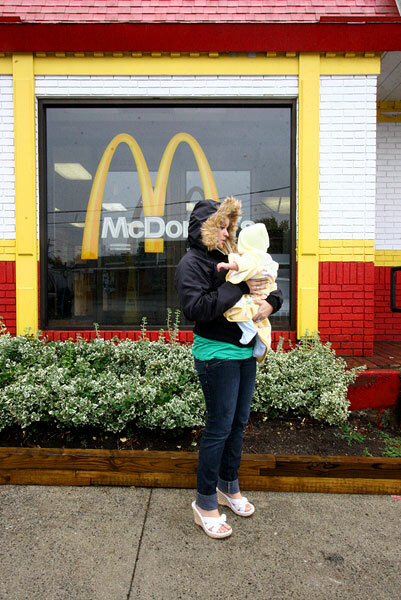 Kaila holds Xavier outside McDonald's where she and Xavier's mom, Alivia, worked during Aivia's pregnancy. Kaila was fired when she was unable to work her scheduled shift because Alivia went into labor prematurely. Alivia is one of the girls to receive media attention because of the rise in pregnancy rates among students at Gloucester High School in Massachusetts.